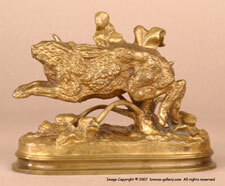 Jules Moigniez (1835 - 1894) was born in Senlis, France. 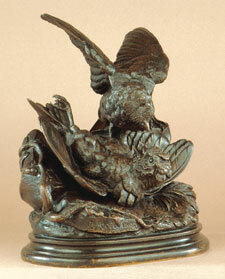 He was a student of Paul Comolera and his attraction to bird sculpture comes from his studies with his teacher. 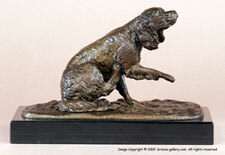 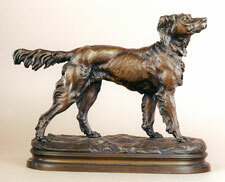 His most plentiful subjects were game birds but he sculpted dogs, horses and a few equestrian groups. 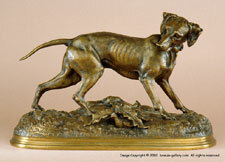 Moigniez's first recorded exhibit was at the Paris Exposition Universelle of 1855, at the age of twenty, where he exhibited a plaster titled Pointer stopping at a Pheasant. 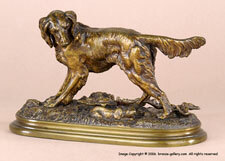 He exhibited regularly at the annual Salons from 1859 until 1892 showing a total of thirty works. 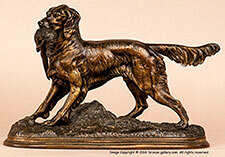 He also exhibited in England at the London International Exhibition of 1862 where he found a very receptive audience in the people of England. 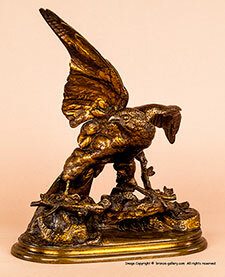 Moigniez was a very successful sculptor in France as well as England and America where the majority of his game bird sculptures were sold. 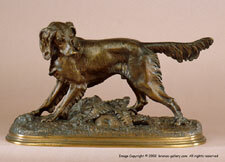 Most of Moigniez's bronzes were cast by his father, who was a metal glider by training. 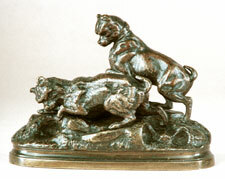 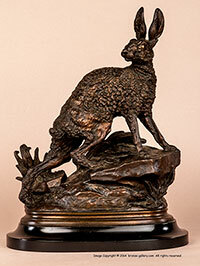 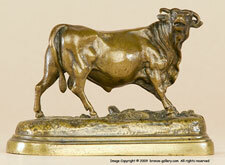 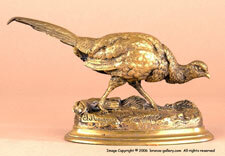 Their foundry was established in 1857 solely for the propose of producing Moigniez's bronzes. 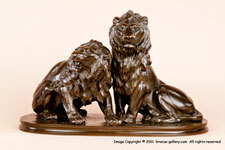 The detail in these casts by father and son is exceptional. 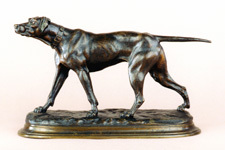 Many of Moigniez's bronzes were gilded, silver-plated or had very different and unusual patinas applied to them as the Moigniezs' were constantly experimenting with new finishes for their market. 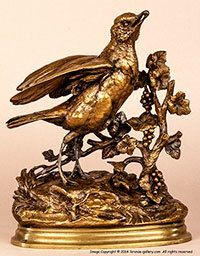 Jules Moigniez became ill in 1869 and never recovered. 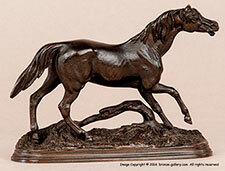 He produced no new models from that date on and in 1894 he took his own life. 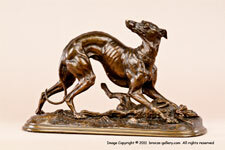 Moigniez's father kept casting his son's works after his tragic death and upon his fathers death the foundry as well as all of the plasters and models were sold to Aususte Gouge, who cast most of Paul Comolera's works. 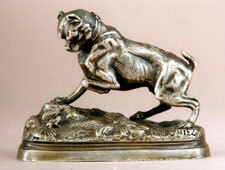 Gouge continued to produce Moigniez's sculpture until after the First World War when styles and tastes changed.